Creator: John W. Campbell, Jr. There is a large amount of mystery surrounding The Thing. The is little known about the creature's motives (if there are any) or its consciousness. One suggestion is that The Thing's sole motive is to sustain its life. The parasites survival instincts are unmatched by almost any alien life form in film history. It is believed to have crashed on Earth over 100,000 years ago and spent most of that time dormant until it was found by the crew of Norway's Thule Research Station. The Thing is able to absorb and copy the DNA of any life-form that it consumes, creating a terrifying situation for its prey. Anyone and everything could possibly be a threat to the remaining survivors of The Thing's attacks. As explained in John Carpenter's The Thing (1982), this can lead to a great amount of paranoia that only makes everything else more troubling. "Mr Vaughn, what we are dealing with is a perfect engine, an eating machine. It's really a miracle of evolution. All this machine does is swim and eat and make little sharks, and that's all. 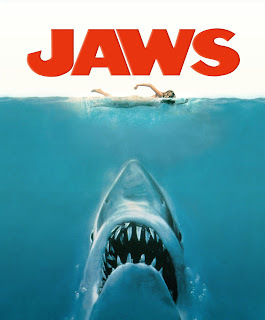 Jaws had an actual tangible effect on its audience. After its release in 1975, there was both a decrease in beach attendance and an increase in the number of reported shark sightings. This fictional 25-foot, 3 ton great white shark changed how everyone looked at the ocean. Not many horror creatures can claim such a feat.